Perms, or permanent waves, are a way to create curly styles without the hassle of daily heat treatments or uncomfortable nights in rollers. The styles were particularly popular in the 1980s, when tight curls were all the rage, but today’s permanent styles are far more versatile and suitable for many different looks. Permanent waves are a severe type of chemical hair treatment that results in long-lasting curls, ringlets, or waves, depending on the specific treatment. They work by infusing hair with either alkaline or acidic chemical solutions to break down the disulphide bonds of the hair’s cortex, the inner core that gives hair structure. The relaxed hair is then wrapped around rods (similar to curlers) and rinsed with a neutralizing solution that reforms the chemical bonds and leaves hair in the new, curly shape. • The shape of the rods used for the treatment. Narrower rods produce tighter curls, and the curvature of the rods affects how the curls rest against the head. • The strength of the solution used to break the bonds keeping the hair’s natural shape. A stronger solution will break more bonds and can result in tighter, stronger curls. • The time the solution is allowed to rest on the hair before being rinsed. Longer durations will break more bonds and result in a curlier style. • The way hair is rolled onto the rods. A vertical roll with long hair creates a spiral perm with ringlets dangling about the shoulders, while a tighter horizontal roll brings curls closer to the head. If properly done and cared for, a permanent wave can last 4-6 months depending on the hair’s length, daily treatment, and environmental factors. While this isn’t exactly a “permanent” style, then, it is still a drastic improvement for individuals who normally struggle with curling irons or other techniques every few days. A permanent wave treatment is neither quick nor simple. In an experienced salon, it may take 2-3 hours depending on the hair length and thickness, but because perms are not as popular as they have been in the past, it may be more difficult to find a stylist with adequate experience. Before an appointment, use a gentle moisturizing conditioner to help prepare hair for the shock of the harsh chemical treatment, but avoid deep conditioning treatments that could reduce the effectiveness of the necessary solutions. 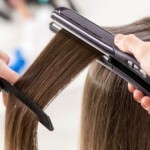 A reputable stylist will first evaluate your hair to determine if an alkaline or acidic rinse is more suitable. The alkaline solutions are stronger but may excessively damage thin or weak hair. The acidic solutions are better for thin hair, but take longer to have the same effect. Acidic treatments are often combined with heat to speed the process. Recently colored hair should not be permed – the combination of strong chemical coloring agents and the solutions needed to create the curls can be devastating to hair, resulting in severe damage, discoloration, and even temporary hair loss in extreme cases. 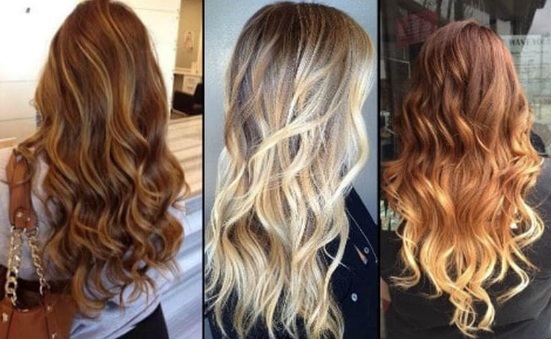 If the hair color has been set for some time, however, it can be safe to proceed with a permanent wave. Individuals with extremely sensitive skin may want to avoid perms altogether. While the harsh chemicals do not routinely come into contact with the skin, the exposure of the scalp and the resulting fumes may be detrimental. Once the treatment is completed, it is vital to let the curls rest for 24 hours before washing or else the bonds will not be fully formed and the curls will dissolve. Even a small amount of moisture can destroy the style, and because of the harshness of the treatment, it is not advisable to schedule another appointment right away. • Tight spiral ringlet styles for very long hair. • Soft waves for short hair. • Layered styles to add both curls and volume. • Reverse perms to remove natural curls. 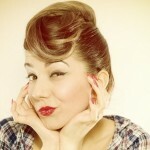 Skilled stylists can easily use permanent wave techniques to create a range of luscious styles. Before opting for this long-term treatment, however, be sure to consider your face shape, daily habits, and overall style preferences. • Blot hair dry rather than rubbing or scrubbing. Vigorous motions can break hair, disrupt curls, and cause painful snarls. • Style hair carefully, using a wide-toothed comb or pick to keep from separating every curl. 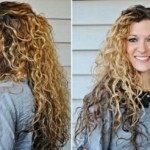 • Use shampoos and other products specially formulated to help preserve curls. • Condition hair regularly to offset damage caused by harsh chemical treatments. 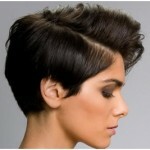 • Have ends trimmed regularly (every 4-5 weeks) to keep the style neat and avoid split ends. Because perms require such intensive treatment, they can be devastating to hair. At the same time, the rewards of an easy-to-care-for style are great, and many women opt for these hardy treatments with their greater longevity. By knowing how to properly care for your permanent wave and how to keep it looking its best, you can easily have stylish curls that will last for months.